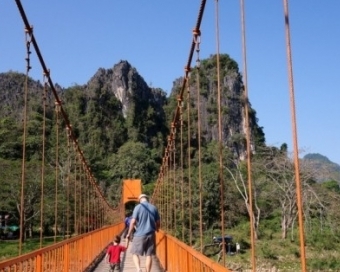 This 6-day tour is for those who want to explore Lao with their family. 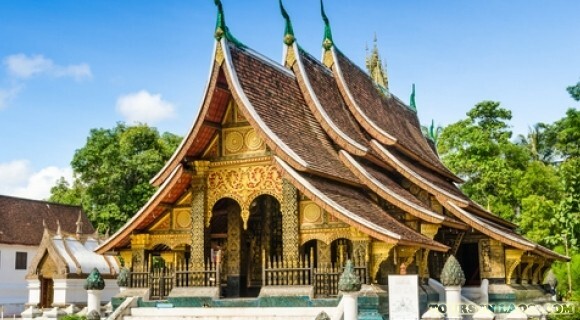 With stunning nature, rich culture and long history, friendly people, Laos is really an undiscovered gem in Southeast Asia. 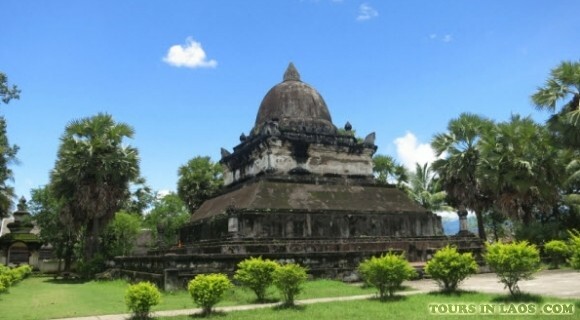 The tour will starts from the current capital, Vientiane and Luang Prabang, the former capital of Laos. Taking this, you will have chance to discover the mixture of colonial French buildings, ancients temples, beautiful natural landscapes as well as colorful markets. Landing in Vientiane, you will be warmly welcomed and transferred to the hotel for check-in. 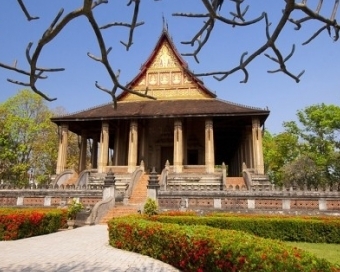 Although it is a capital city, Vientiane has the feel of a small provincial town. The wide boulevards are almost devoid of traffic, and with its many temples, the city retains the feel of another age. Dinner at a local restaurant. Overnight at the hotel. 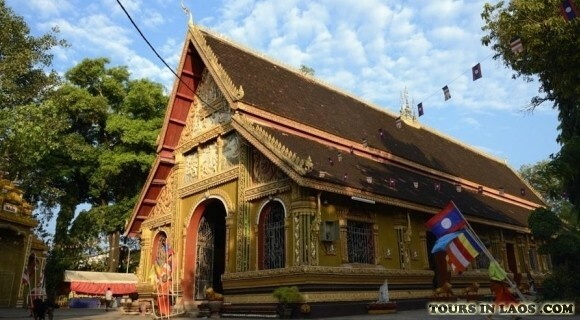 Your tour today includes the visit to Wat Sisaket (with its thousands of miniature Buddha statues), followed by Wat Simuang and Wat Prakeo, which was the original home of the famous Emerald Buddha, today resides in Bangkok. 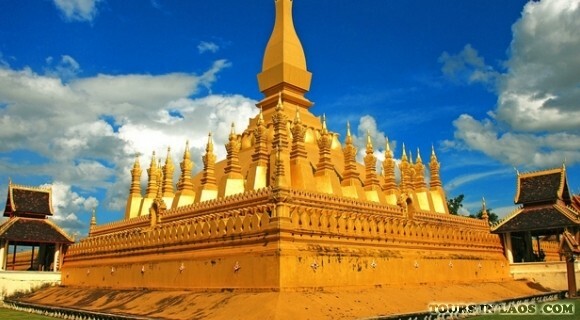 You will then visit the huge golden That Luang monument, which all Lao citizens consider a holy pagoda. 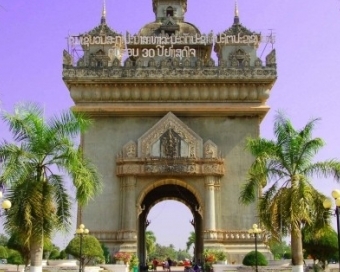 Next you will visit Vientiane's own Victory Monument, which looks like the Arc de Triomphe. 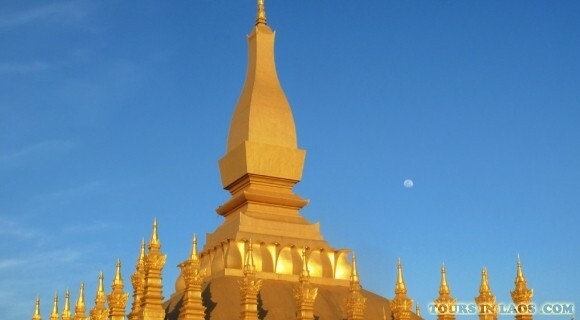 You will end with a dinner at a local restaurant followed by an overnight stay in Vientiane. 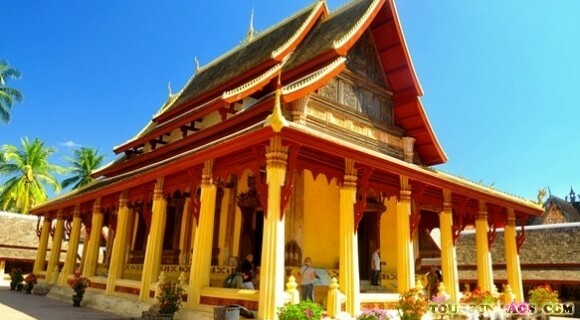 In the morning take a flight from Vientiane to Luang Prabang, the former royal capital. You will be picked up and transferred to your hotel. 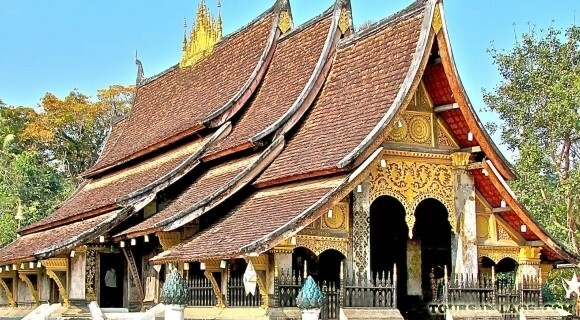 Next, it will be time to explore the city with visits to Wat Visoun (the site of the impressive Thad Makmo stupa), Wat Mai (built in 1796, with its five-tiered roof of the wooden Sim (chapel) which epitomizes the graceful Luang Prabang architectural style) and Wat Xieng Thong (with its several roofs sweeping low to the ground). You will climb up 350 steps to the top of Phou Si Hill to visit Wat Phu Si and enjoy commanding views for many miles in each direction. You will go back to your hotel for leisure time or you can go shopping at the night market before an overnight stay. Meals on your own. Overnight at the hhotel. After breakfast, you are optional to choose a fantastic opportunity to join in the daily morning rituals of saffron-clad monks collecting offerings of Alms (often in the form of sticky rice) from the faithful residents. 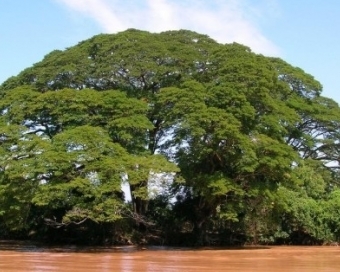 This tradition is very unique to Laos, it being the only Buddhist nation still preserving the ritual. 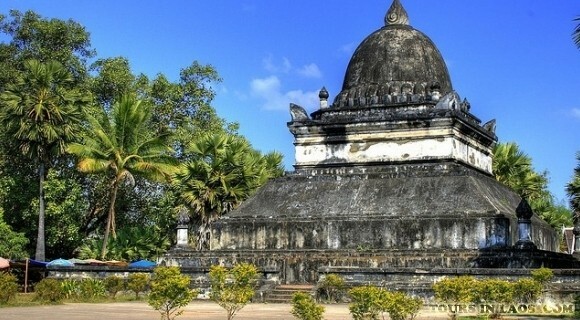 You will also take a Mekong river boat trip to visit the famous and sacred Pak Ou Buddha Caves, overlooking the confluence of the Mekong & Ou Rivers. The caves are home to many thousands of Buddha images that have been placed here by local people since the 16th Century. 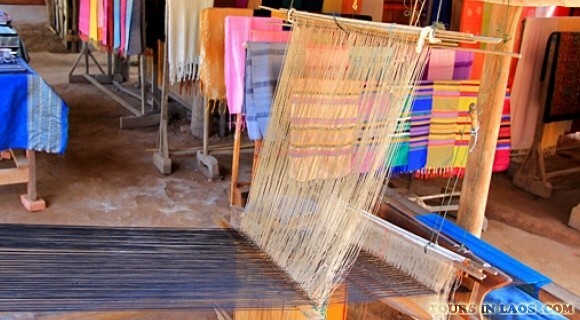 After that, you will return to Luang Prabang to visit the Por Sa paper handicraft and textile area at Ban Xang Khong. Meals on your own. 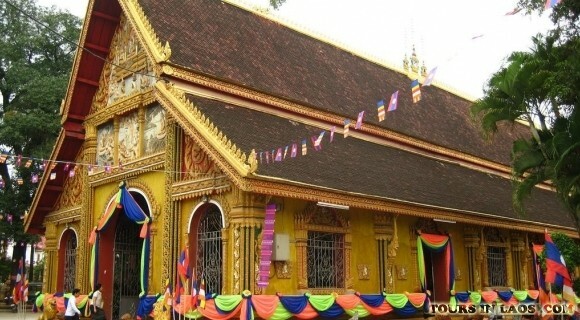 You will stay overnight stay in Luang Prabang. 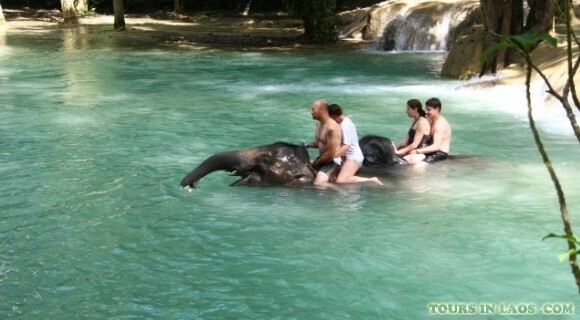 Today your family will spend all day discovering the stunning landscape, tranquility and lush nature of Luang Prabang and experiencing elephant riding. You will proceed to the elephant camp about 15 km outside of town on the banks of the Nam Khan River. After crossing the small river at the Lao Spirit Resort, you will be introduced to the protected Asian elephants and go out for a scenic ride. You will enjoy a new perspective and wonderful scenery on this 2-3 hour ride. You will be brought to/from the amazing waterfalls of Tad Sae, where you can hang out for lunch and swim in the refreshing cascading water. A short boat trip will bring you back to the elephant camp. 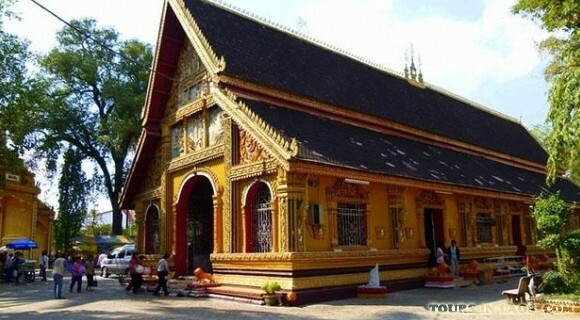 After that you will transfer back to your hotel in Luang Prabang. Meals on your own. Overnight at the hhotel. After breakfast, you are optional to choose a fantastic opportunity to join in the daily morning rituals of saffron-clad monks collecting offerings of Alms (often in the form of sticky rice) from the faithful residents. 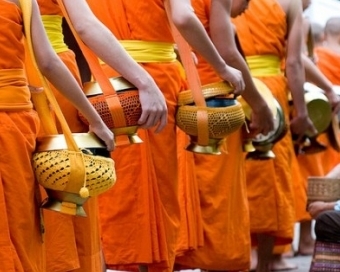 This tradition is very unique to Laos, it being the only Buddhist nation still preserving the ritual. You will also take a Mekong river boat trip to visit the famous and sacred Pak Ou Buddha Caves, overlooking the confluence of the Mekong & Ou Rivers. The caves are home to many thousands of Buddha images that have been placed here by local people since the 16th Century. 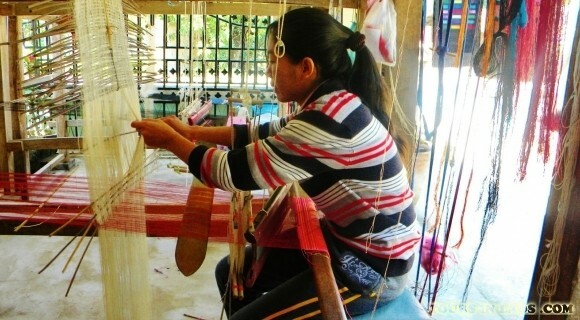 After that, you will return to Luang Prabang to visit the Por Sa paper handicraft and textile area at Ban Xang Khong. Meals on your own. 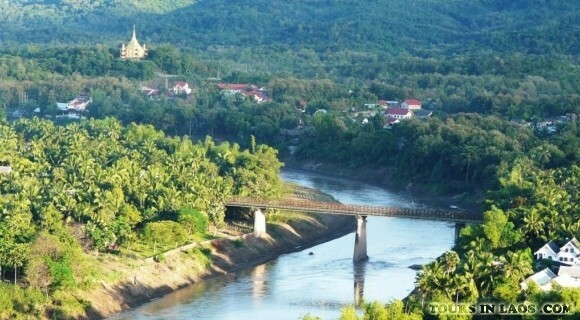 You will stay overnight stay in Luang Prabang. 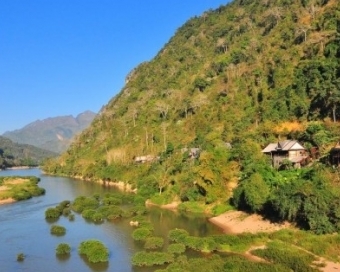 Today your family will spend all day discovering the stunning landscape, tranquility and lush nature of Luang Prabang and experiencing elephant riding. You will proceed to the elephant camp about 15 km outside of town on the banks of the Nam Khan River. After crossing the small river at the Lao Spirit Resort, you will be introduced to the protected Asian elephants and go out for a scenic ride. You will enjoy a new perspective and wonderful scenery on this 2-3 hour ride. 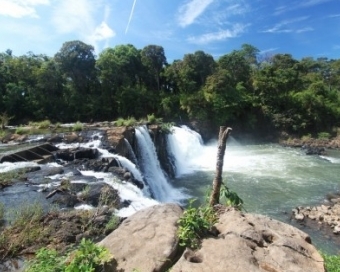 You will be brought to/from the amazing waterfalls of Tad Sae, where you can hang out for lunch and swim in the refreshing cascading water. A short boat trip will bring you back to the elephant camp. 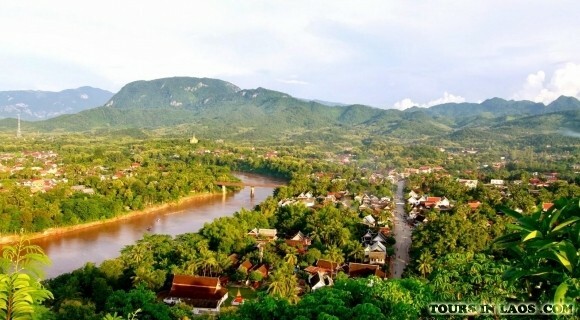 After that you will transfer back to your hotel in Luang Prabang. Meals on your own. Overnight at the hhotel.